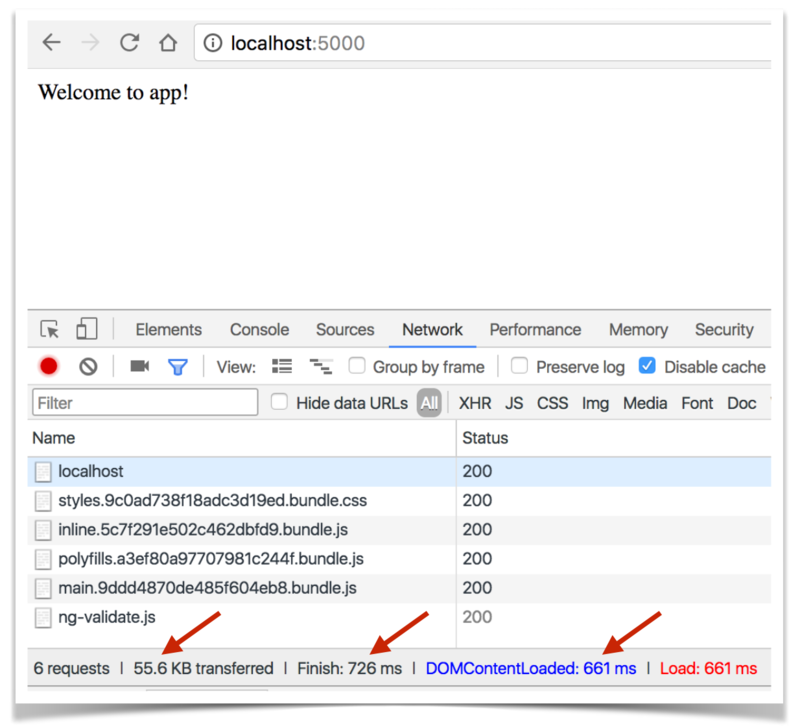 With Angular CLI, generating a new app and installing dependencies takes 30 seconds. Creating a production build takes another 15 seconds. And the best part is that the size of the deployed app can be as small as 55KB gzipped. Let’s do it. 7. Enjoy the small size! To see it in action, watch this 5-minute video.